Fox News in its current incarnation is operationally a propaganda network for Donald Trump, using any amounts of racism, sexism, and bigotry necessary to push his message, whatever the cost. Media Matters has repeatedly documented the network's increasing and dangerous promotion of extremism, its embrace of white nationalism, and more. Sean Hannity, Laura Ingraham, Jeanine Pirro, Tucker Carlson, Lou Dobbs, and Fox & Friends are the tip of the spear, but the entire network is culpable. Following recent right-wing terrorist events with documented connections to Fox News, the media is starting to catch on. A number of leading commentators called for a boycott of all Fox News advertisers following these terrorist events. “The most effective thing Americans can do is boycott companies that advertise on Fox,” said Edward Luce, the U.S. national editor of the Financial Times. Right-wing columnist Max Boot called for companies to "boycott Fox News until they pull back from the hate." This latest controversy over Lou Dobbs’ Fox program promoting an anti-semitic lie is nothing new. Racism, anti-semitism, and dangerous conspiracy theories aren’t unusual for Fox News; they’re the network at its core. But lately the programming is only getting more extreme and volatile, and this explains why the time in between major controversies at the network just keeps getting shorter. Fox News’ never-ending focus on demonizing political opponents and front-line communities - echoing Trump and framing the struggle against these groups as an urgent matter of life or death - makes the network an increasingly bad business decision for advertisers. Given all this, it's not surprising to see more and more brands and media buyers avoid portions of or all of Fox News. But for those brands that still haven't gotten that message: The latest acts of right-wing violence fomented by the bigotry and lies on Fox News and outlets like it are a reminder of what their advertising dollars are supporting. 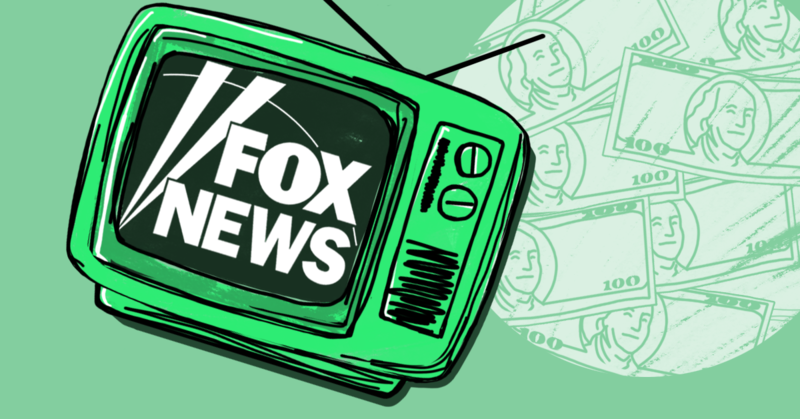 We urge Fox News advertisers to talk to their media buyers, listen to their customers, and consider suspending their relationship with Fox News until the network makes meaningful changes to curb its propagandistic narratives that intentionally spread disinformation and incentivize violence. This list was originally posted October 29, 2018. It was last updated on March 27, 2019.